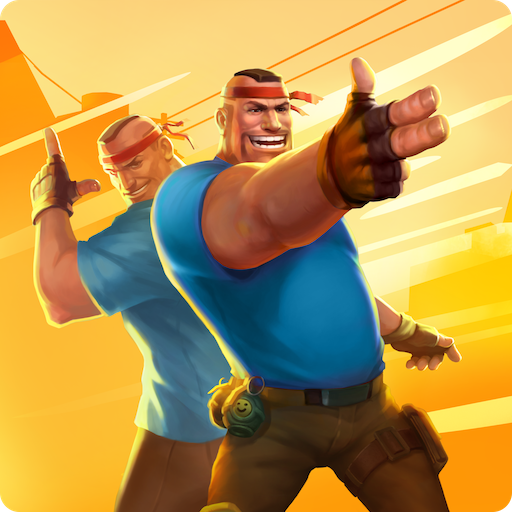 Download Guns of Boom app for android. Guns of Boom is a multiplayer first person shooter game where two teams fight to win the battlefield. You will be amazed how easy is the control of character, moving, shooting, etc. all presented in impressive graphics. One of the main things Guns of Boom has done well is the control system. You can move around the map very intuitively just by using you left thumb and when target is is in sight automatically shoot it. Protect you team buddies and try to be the best player with highest score in game. This will present you with new weapons or skins to customize your character. With its dynamic PVP action and booming arsenal consisting of machine guns, snipers, grenades or rifles you can blast everything on your path to victory. When shot down the option to watch the rest of the game as spectator in augmented reality mode is available. Guns of Boom is must try game for anyone in love with new implementations in the style of old school FPS classics. What is Guns of Boom? You can browse media content about Guns of Boom on Pinterest, where great images are added every day. Watch how to install and use Guns of Boom videos on YouTube. You can also look for Guns of Boom app on Amazon Appstore.